Welcome to your senior year! This site is your source for information on Senior Class activities, the Senior Class Advisory Council, senior dues, the Senior Class Gift, and more! To find out more about each of these areas, use the links to the right. Seniors: Not getting senior emails and want to be? Email us at classof2019@owu.edu. 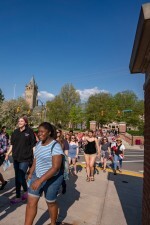 Want information on OWU's Email for Life (EFL) program? 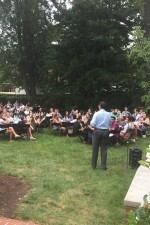 Seniors attend an annual "Welcome Back" Dinner with President Rock Jones at Pritchard House on the first day of class, Wednesday, August 22, from 6:00-8:00pm. 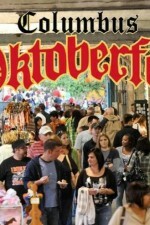 Dues-paying seniors take a bus down to Oktoberfest in Columbus on Friday, September 7, to help kick-off senior year! Every year, the Alumni Board of Directors holds a senior class reception to honor the graduating class. This year's reception will be held on Friday, October 5, from 5:00-6:00pm. This event is a great way to network with our experienced alumni! 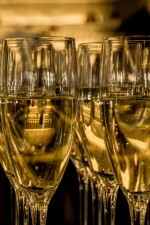 Dues-paying seniors will receive two complimentary drink tickets for the reception! 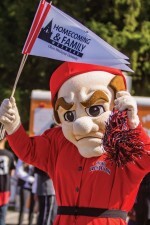 Saturday, October 6, seniors attend a tailgate during Homecoming and Family Weekend festivities to mingle with students, parents, and alumni prior to the OWU VS. Kenyon football game. Dues-paying seniors receive two complimentary tickets for food and beverages! Dues-paying seniors attend a pre-reception cocktail hour before President's Ball kicks off on Saturday, December 1. Heads up, Juniors - it's your time to shine! (candidates must use their own money, not to exceed $40) to the Alumni Relations Office by 4:00 PM. If no expenses are incurred, submit a statement in lieu of receipts. Tuesday, February 26-27 - ELECTION DAYS! Please note that Tuesday, March 6, and Wednesday, March 7, will serve as run-off election days if necessary. 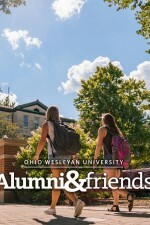 Contact Sarah Wharmby at slwharmb@owu.edu with any questions. Good luck! Come hang with Senior Class Council on Thursday, February 28, in the HamWill atrium over the lunch hour! Snacks and refreshments will be available. Get your professional headshot taken for your OWU Alumni Network profile on March 4! Sign up here! 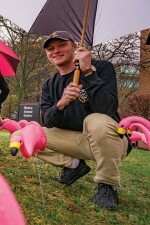 You might be wondering what's happening on Mowry Alumni Center's front lawn... Each flamingo represents one senior who has given their 2019 Class Gift. Join the flock by making your gift today! Join your fellow seniors for MANDATORY tabling in the Benes Rooms on March 27 from 10am-6pm to make sure you're ready to graduate! Attending this event (it'll only take 10 minutes!) is a graduation requirement! Following Countdown to Commencement, join your fellow dues-paying seniors at The Backstretch from 6-8 PM on Wednesday, March 27, for good food, good music, and good friends. There'll be a taco bar located upstairs for dues-paying seniors only! With a Senior Class Gift of $5.00, you'll also receive 2 free drink tickets in honor of beginning your legacy of giving at OWU. 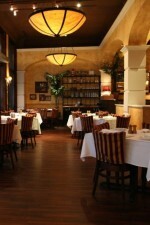 Come network with our alumni at Brio! Dues-paying seniors are free and non-dues-paying seniors pay $10.00. Drinks will be available for all attendees! The bus will depart from HamWill at 5:15 PM and leave Brio to return to campus promptly at 8:00 PM. Make a gift of at least $20.19 to attend the Senior Donor Dinner with Rock and Melissa Jones at Pritchard House! 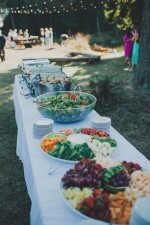 Catering will be by AVI with beer, wine, and a champagne toast! It's almost time, seniors! 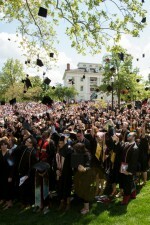 Meet us in Branch Rickey Arena on May 7 to practice your graduation walk and get some OWU SWAG. From there, we'll take our Final Lap up the JAY where there will be live music, alcoholic and non-alcoholic beverages, and food catered by AVI. 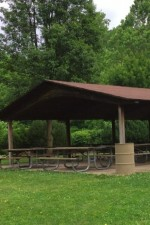 Grab your sunscreen and head to Blue Limestone Park in Delaware, just off-campus, for a senior picnic! Food and lawn games will be available. OWU vans will be running back and forth from campus. After a day of fun in the sun, it's movie time! AVI is providing movie snacks. Bring your lawn chair, picnic blanket, and friends! 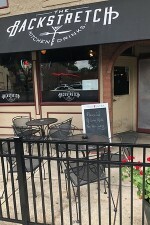 Join your favorite professors, staff members, and classmates for appetizers, cocktails, and a jazz band at Bishop Cafe in HamWill! Students for a short time, Bishops for a lifetime! Congratulations, GRADUATES!